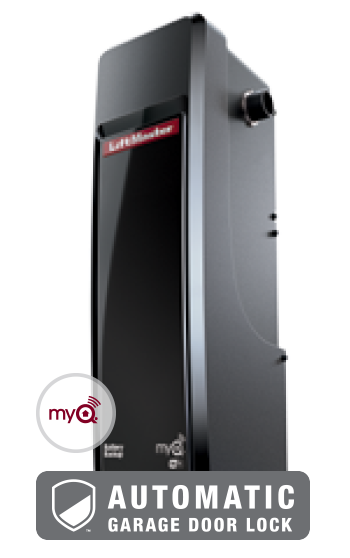 We work with LiftMaster, from the Chamberlain Group, because their electric garage door opener systems are high quality, reliable, durable and safe. At Mortland Door Systems, we offer a wide variety of models and accessories to meet specific needs and to make using your door easy. For example, we offer a key ring style remote control which allows you to remotely open your garage door, an external digital entrance system with access code, or the installation of a remote operation application on your smart phone. 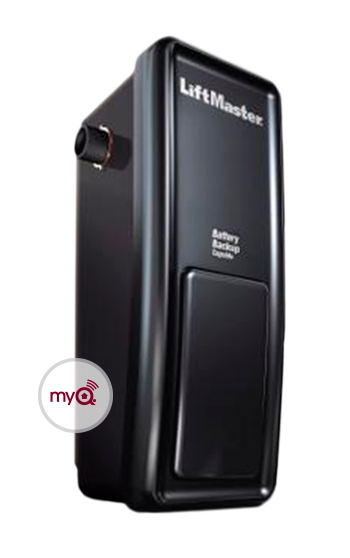 With LiftMaster, you can choose between two equally dependable types of door openers: the first works with a chain drive (similar to a bicycle chain system) and the other with a rubber belt, reinforced with metallic wires. We generally recommend the belt drive system as it is much quieter, convenient if the garage is situated below a bedroom, and it doesn’t need lubrication, unlike the chain drive system which requires more regular maintenance.